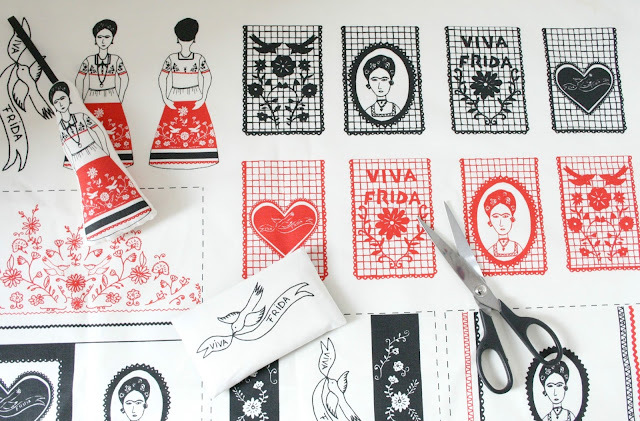 Besides the Frida doll & Frida doll D.Y.I kit I also have a Frida craft panel in my etsy shop. 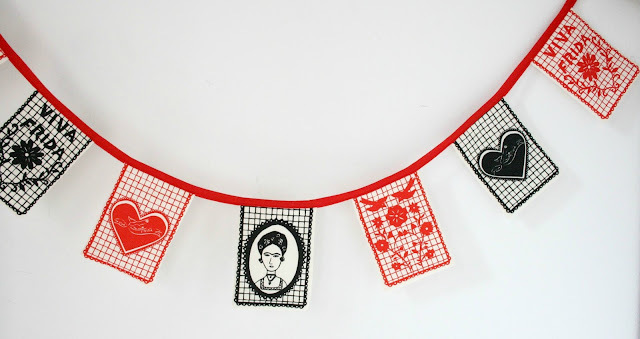 This panel is a piece of screenprinted cotton that you can use for several projects. 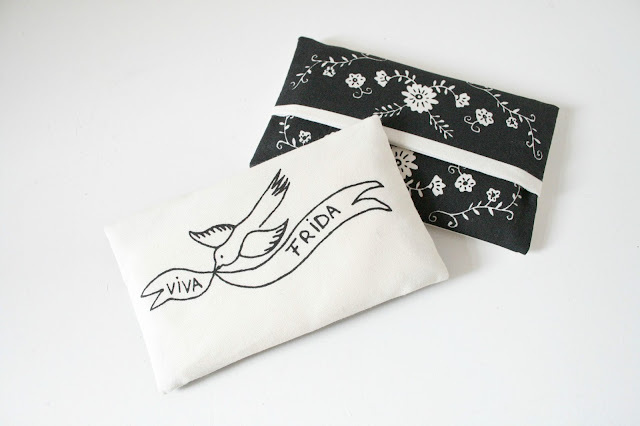 With the panel you can make a mini Frida hanger, two tissue holders, a flag banner and a little needle book.These little projects are easy to make and make perfect gifts!! 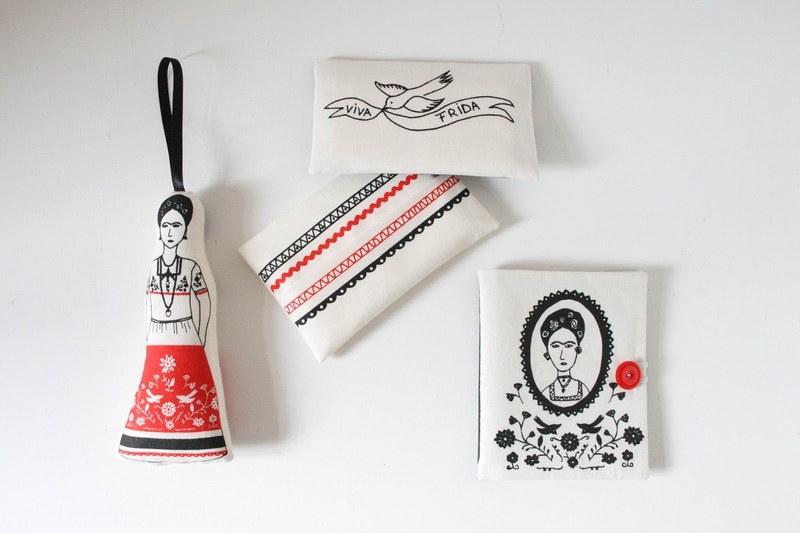 Want to make your own Frida goodies, you can find the panel here.